There was a bit of a problem with the links in the initial blogpost, so I'm resending it to you with everything corrected. Sorry about that! If you're struggling to come up with ideas for the quilter on your list, stress no more. I've come up with a selection of gifts to fit every budget and every quilter. 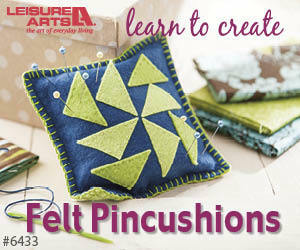 If you're looking for a practical stocking stuffer, you can't go wrong with a set of snips or a magnetic pincushion. There never seem to be enough of these around my house. Maybe your friend loves quilting books. I've included a few of my favourites for the holiday season. Whether they love to paper piece or appliqué or just plain piece, I've got you covered. For the free motion afficionado in your circle, you can't go wrong with a set of Machingers or a Supreme Slider: both essential to make free motion quilting the easiest technique ever. Now, maybe you don't need to get a gift for a friend, but want to hint at a gift for yourself. Just direct your favourite quilter enabler to the list. I hope this helps you with some quilty gifts for Christmas. Happy shopping! I am an Amazon affiliate and as such will receive a small amount of monetary compensation should you purchase products by clicking through the links in this blogpost. Thanks for helping me to continue to create free content and videos. I love Cheryl's elegant, traditional designs. If you love Christmas the old-fashioned way, you'll enjoy the designs in this book. Amanda brings a fresh, modern esthetic to the holidays in Modern Holiday. I love the aqua, red and green colour choices and fun projects in her book. I adore the jolly, festive Santa on the front cover! Brian brings fun into the holidays with the projects in Santaland. There's always a nativity in my house at Christmas time, given to me by my mother-in-law many years ago. The beautiful and elegant designs in Rachel's book allow you to bring the true meaning of Christmas into your home. The whimsical designs in Jan's book, Dressed to Chill, make delightful holiday decorations. If you love snowmen, this book is a must for your holiday library. One of the first quilting books my parents gave me was Christmas Cats and Dogs. Lots of different paper-pieced projects in this seasonal book and it's filled with both cats and dogs - what's not to love? Do you have a library of Christmas and holiday books? Leave me a comment below telling me your favourite seasonal books. I am an Amazon affiliate and as such, will receive a small amount of compensation if you purchase products through the links in this blogpost. Thank you for supporting Chatterbox Quilts.